And everyone sang once more. A friend invited me to the Hollywood Bowl on Friday night to attend the "Sound of Music Sing-Along" and, surprisingly, it was a lot of fun. 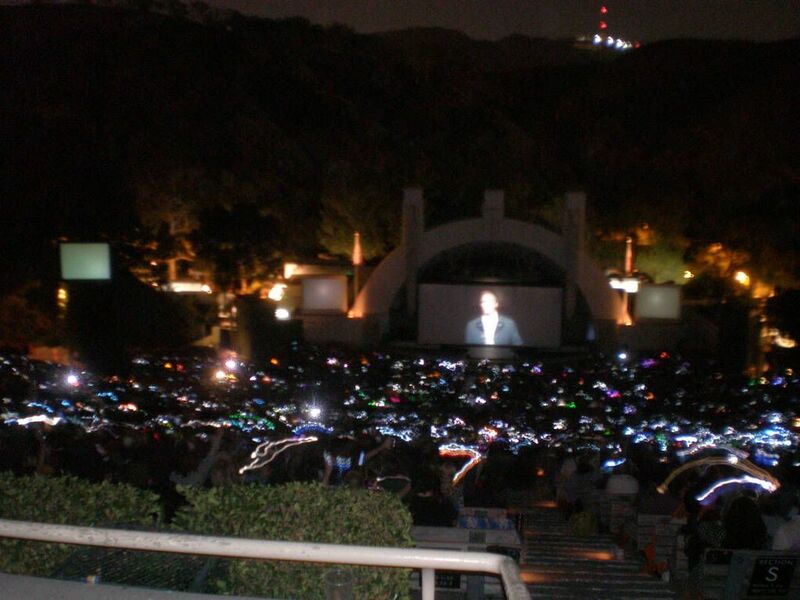 As you can see from the image above, whenever a song began, people would take out their cell phones, hold them up over their heads (in lieu of lighters)and sing and sway from side to side until the song ended. There were people dressed up as various characters, which made for an interesting visual as everyone headed to the concession stands during intermission. Men in lederhosen mingling with an array of nuns while sipping beer and eating hotdogs was quite a sight to see. 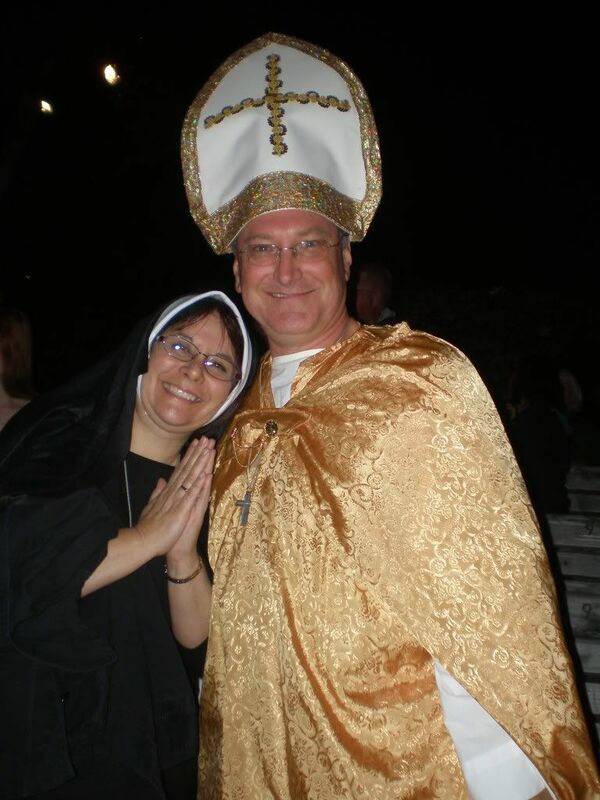 Even the clergy got in on the fun. If you enjoy the "Sound of Music" in any way, I highly recommend you make plans to pack up your habit and take your goat herd on over for the next one.